Dr Shamika Ravi, a Senior Fellow of Governance Studies Program at Brookings India and Brookings Institution Washington D.C. is attending the second meeting of the Economic Advisory Council. 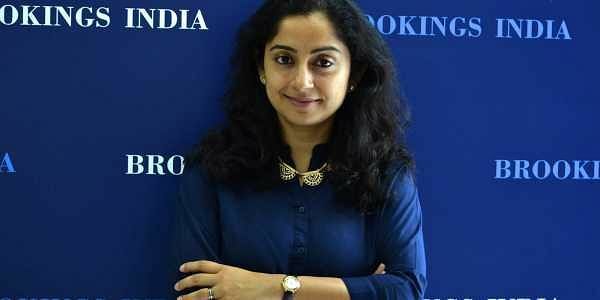 NEW DELHI: Dr Shamika Ravi, a Senior Fellow of Governance Studies Program at Brookings India and Brookings Institution Washington D.C. is attending the meeting of the Economic Advisory Council (EAC) to Prime Minister Narendra Modi as a part-time member. Reports of Dr Ravi’s appointment to the panel have been doing rounds in the recent past. While an official announcement about her appointment is yet to be made and is expected shortly. Meanwhile, the second meeting of the EAC to Prime Minister Modi is underway in the national capital under the chairmanship of Bibek Debroy. In the first meeting of the council, ten issues were identified around which the Council Report would be structured in the coming month, developed by the Group through consultative processes involving ministries, states, experts, private sector players and other key stakeholders. Addressing their first press conference post the formation of the council, Chairman Bibek Debroy highlighted that major priorities were identified for accelerating economic growth and employment over the next six months, with greater last mile connectivity. Another key issue recognised was the need for effective tracking of key economic parameters through possible mechanisms for instituting an economy track monitor using lead indicators and triggers for action, based on informed assessment and analysis. It was also agreed that specific issues papers would be brought out by members to address key concerns and linkages will be established with key national institutions. The second meeting is also being attended by leading economists Dr. Surjit Bhalla, Dr. Rathin Roy, Dr. Ashima Goyal and Member Secretary Ratan P. Watal, who was also the former Finance Secretary and Principal Adviser to NITI Aayog.